Bigby’s roller coaster tale of murder and corruption has finally come to an end, but not without taking some nasty bumps to sour the experience. If you wish to avoid spoilers, feel free to skip to the next section of this review, though most of this review will be about the story below. When we last saw Bigby the Wolf, he had finally reached the lair of The Crooked Man, who had been behind the widespread corruption of Fabletown and was responsible for the deaths of Faith and Lily. Your goal is to bring back The Crooked Man alive so that he could stand trial for his crimes, but with all of his cronies joining the chat between the two most powerful men in the town, it should be no surprise that things go sour once The Crooked Man reveals that the real killer. Obviously, this offends the killer, who believed they were supposed to be protected after following orders, which results in the whole crew taking advantage of the opportunity to gang up on Bigby to get revenge after the beatings they’ve taken over the previous four episodes. 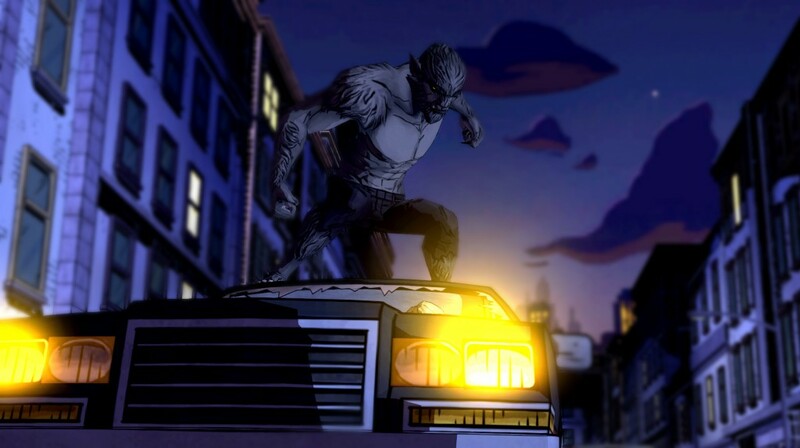 The fight spills out into the streets of Fabletown due to a portal opening up in the room, which lets The Crooked Man and the killer take off in their vehicles to set-up another action sequence with Bigby giving chase. 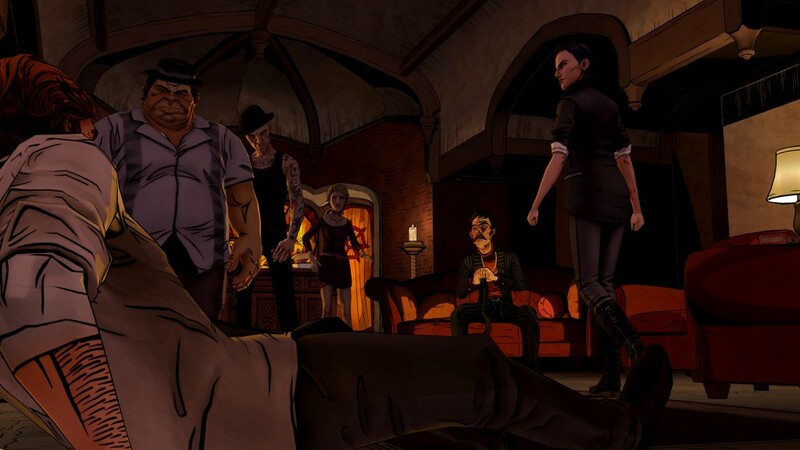 This sequence presents the choice of who you want to follow and I chose to go after the killer, which rewarded me with a satisfactory conclusion about The Crooked Man’s orders to kill Faith and Lily and some resolution of a major mystery that has been affecting Bigby’s investigation since the first episode. Bigby then moved on to The Crooked Man’s whereabouts with another big fight involving Bloody Mary before he can finally get some one-on-one time with The Crooked Man. Snow and Bigby finally get the chance to bring down The Crooked Man once and for all with a number of his victims joining this informal trial as we enter another battle, but this time it’s a battle of words. This whole sequence provides for a great means of making you own up to the decisions you’ve made all season long as you try to get the crowd on your side so that you can give The Crooked Man the punishment he deserves, which also includes a major decision as to what the punishment should be. I’m sure the way this whole sequence plays out is heavily influenced by the way you’ve handled the many confrontations that have lead up to this point, as certain characters present new options if you’ve helped them out previously that may not appear otherwise. After you’ve made your decision about what to do with The Crooked Man, you get a nice respite from the action as you see how things have changed in Fabletown that leads up to the beginning of the Fables comic series. This resolution is especially nice since you get to talk to some of your friends before leaving them behind and getting some final bits of exposition to expound on what involvement this certain person had in the entire thing. If I had to guess, it doesn’t seem like there’s any chance of a season two since the episode ends by suggesting that you can continue the story by reading the comics. If you read my review of In Sheep’s Clothing, you might recall that I praised the lack of bugs in that episode after the previous episodes suffered from many of the same stuttering and freezing issues that have plagued Telltale’s games since season one of The Walking Dead. It’s unfortunate to have to report that this final episode is by far the worst I’ve played from Telltale because it suffers from frequent audio stuttering, a myriad of issues when loading the next scene, and numerous freezes and hang-ups that caused lots of worrying about having to restart my PS3 and messing up the fight sequences. This easily tarnishes what should have been a good final episode for this season with some terrible QA as Telltale has consistently released their episodes at the last moment in such a sorry state that seems to be a result of using an ancient engine, as well as the episodic model that gives them more of a reason to get them out as soon as possible even if we have to endure bugs that ruin the sense of immersion they want us to experience. Hopefully Telltale’s new PS4/Xbox One engine puts an end to these annoying issues because I’d love to enjoy these series the way they’re meant to be experienced and not have to endure the bugs to find the things I like about their games. 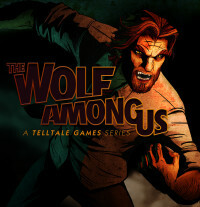 From a purely story point, The Wolf Among Us is a very good conclusion to Bigby’s tale because they did a good job of resolving the major plotlines that have been hanging over the investigation since episode one. It makes me want to start reading the comics so that I can keep the story going. If you have the season pass and have been playing along, there’s no reason to not finish it up at this point to make the best of the money you spent. Anybody waiting for this episode’s release to get the season might want to wait for even better sales than we’ve gotten so far because it’s definitely not worth full price to deal with all of the bugs you expect from Telltale’s work these days. In fact, your best bet is to wait for The Wolf Among Us to release on Xbox One and PS4 to see if those versions on their new engine perform any better than what we’ve had to deal with for two years and three series now. This copy of the game was purchased by the reviewer and covers the PS3 version of the game.